Located in East Hotel, in the inner Canberra suburb of Kingston, Agostinis is the natural expression of siblings Dan and Dion Bisa’s lifelong passion for hearty, honest and delicious Italian food - The kind they grew up with. The restaurant is named in homage to their mother Marisa, whose family owned a restaurant in Northern Italy bearing the family name of Agostinis, before migrating to Australia in the 1930’s. Designed by Kelly Ross, the fitout is warm, inviting and versatile. Natural light streams into the airy main dining room at the front of the restaurant, whilst the gently partitioned rear section of the restaurant is a darker, more intimate space. 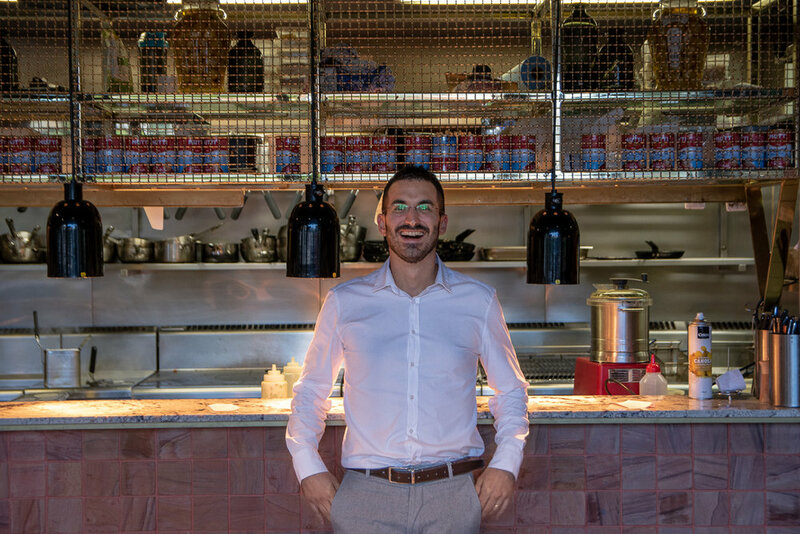 Under the guidance of Chef Francesco Balestrieri, the kitchen is in safe hands. His menu, which changes seasonally, is a celebration of simple authenticity, prepared to perfection with technique and love. And the results speak for themselves. We absolutely loved tasting our way through the menu. To start, the Zucchine Fritte was beautiful. 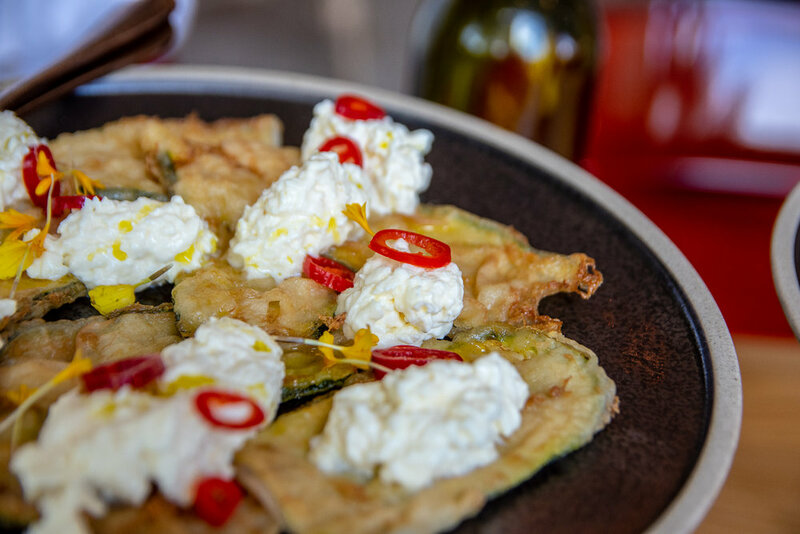 Chef Francesco’s nonna’s recipe for Sunday lunch antipasti, we loved the lightly fried slices of zucchini, served with silky stracciatella cheese and pickled chilli. The Frico was similarly delicious. A typical peasant dish from the Friuli region of Italy. Thin layers of Montasio cheese and potato were oven roasted to form a heavenly, crunchy, chewy, cheesy pancake. As expected from any acclaimed Italian restaurant, pastas at Agostinis are a highlight. The Fettuccine ai Polipetti was divine - Ribbons of al dente pasta were adorned with classic tomato passata, chili, garlic and the most tender morsels of baby octopus. Simply stunning! A visit to Agostinis would of course be incomplete without one of their famous pizzas. Agostinis pizzas are created in the open kitchen using a special Neapolitan artisan technique where the pizza dough is allowed to rise naturally for 72 hours before heading to the pizza oven. The result was a Melanzane Pizza that was picture perfect with a thin layer of tomato sugo, crispy grilled eggplant, chilli, squacquerone and basil. Encircled with a light, crisp crust, this pizza was superb and would have made any pizza purist happy. Dessert time at Agostinis continued to please. 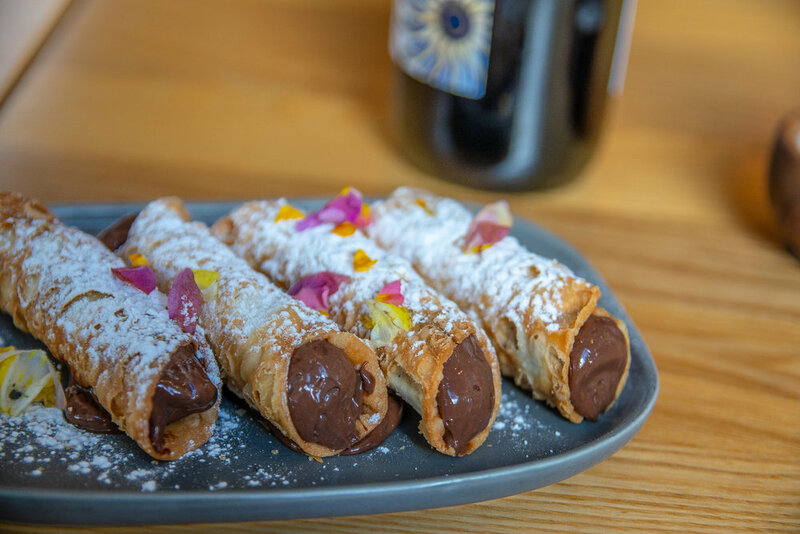 We loved indulging in the Cannoli alla nutella with coffee. Unfortunately by this point in the meal we were too full to try the famous Agostinis Bomba, definitely one to try next time. Agostinis presents an exquisite dining experience that honours the moreish simplicity of traditional Italian cooking. 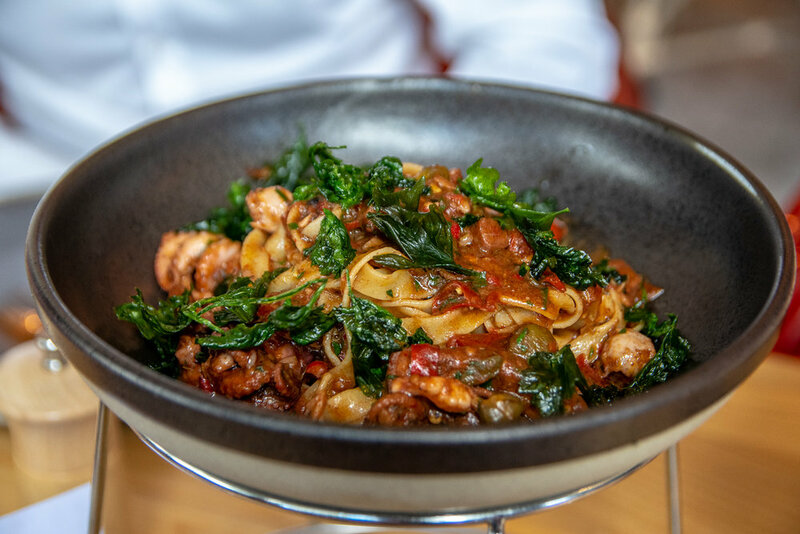 A combination of belly-warming slow cooking, rich and satisfying house-made pastas, delicious pizzas, tantalising desserts and a great wine list - it’s a little piece of Italy.